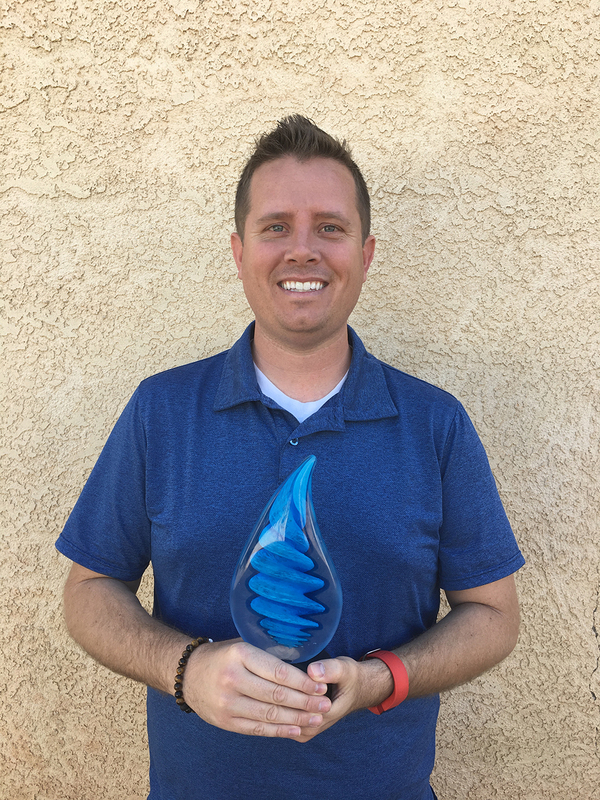 I am pleased to announce our 2017 2nd Quarter Key Contributor Award goes to Brian Tremelling. He has shown us from the beginning over 8 years ago that when you believe in something, most importantly yourself, dreams can come true. 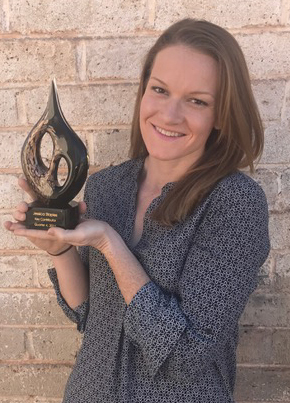 This award is a big deal for our company as it is given to those that really demonstrate our core values: Ease, Value, and Trust, as well as our “Why” which is Improving Employability Every Day. 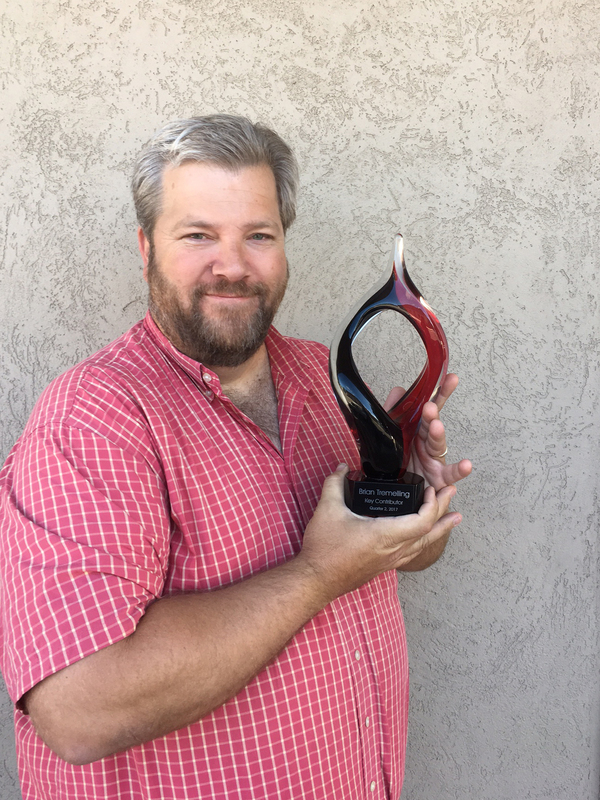 One of Brian’s most proud accomplishments is how he led the way in building our vocational rehab programs, but what you don’t see is his passion, commitment, and dedication to the stuff that is not fun. Building course bundles, creating and automating process flows, dealing with the internal and external challenges that come when you are focused on progressing our students so they reach their employability goals. However, this past quarter, in addition to managing the program, getting us approved in other states, and 110% dedicated to improving our process and technology, to make other jobs easier he alone took on technical work in order to enhance our student information system (SIS). The entire team got a sneak peak at it three weeks ago and are so excited to roll it out. We are close, very close – Brian led that cause and through bumps and roadblocks he handled it like a pro! So you hear: Passion, belief, team player, good listener, honest, respectful. I’d like to second all of those as he and I will always be tied together for dealing with our fair share of challenge, opportunities, and positive outcomes. He reconfirmed that if you do the right thing, things have a way of working out. 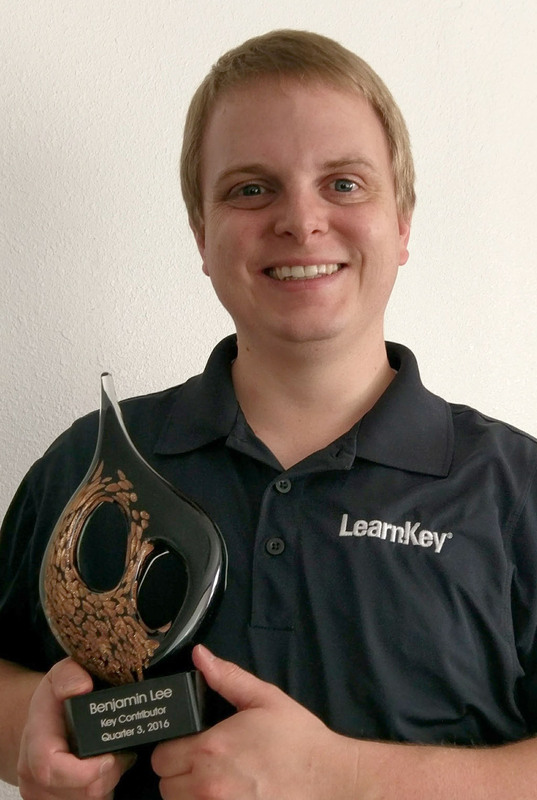 Please join me in once again congratulating Brian on his many contributions to LearnKey! At LeanKey if you need help with a marketing piece, ask Beau. If you need help creating a newsletter, ask Beau. If you need to learn how we process student reports, ask Beau. If you need help creating a CTE/K-12 online marketing campaign, ask Beau. Website redesign ideas, ask Beau. So what has become perfectly clear? “Beau knows”! Revised VA Catalogs – Worked patiently as they were re-worked close to four times over the past year (DI, VA, & Voc Rehab) and accomplished it down to one catalog now. He accomplished the above in addition to managing a busy VA student workload and always coordinating the monthly LKVS newsletters. When members of the leadership team nominated Beau they used words like: rock star, dedication, focus, accuracy, respect, ultimate team player, even keel, nice, never a bad attitude, helpful, and “can do attitude” to describe him. 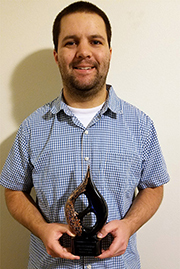 Beau is no stranger to awards; three years ago he was recognized as LearnKey’s employee of the month. Again, please join me in congratulating Beau for receiving this award. 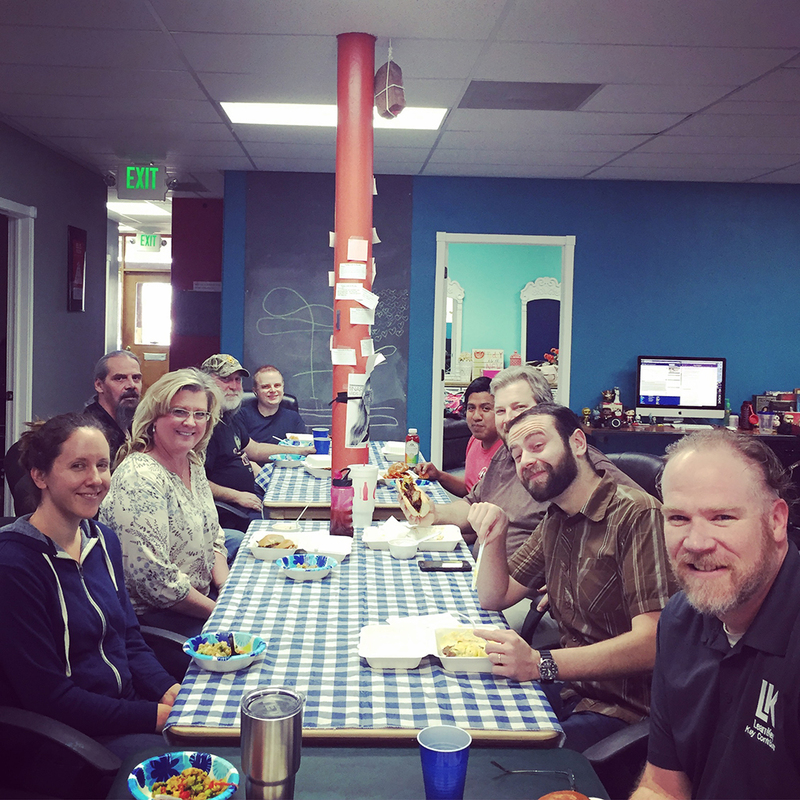 We are fortunate to have great employees, who are great team members and share our passion around “Improving Employability Every Day”! Certiport CERTIFIED Conference was fun! 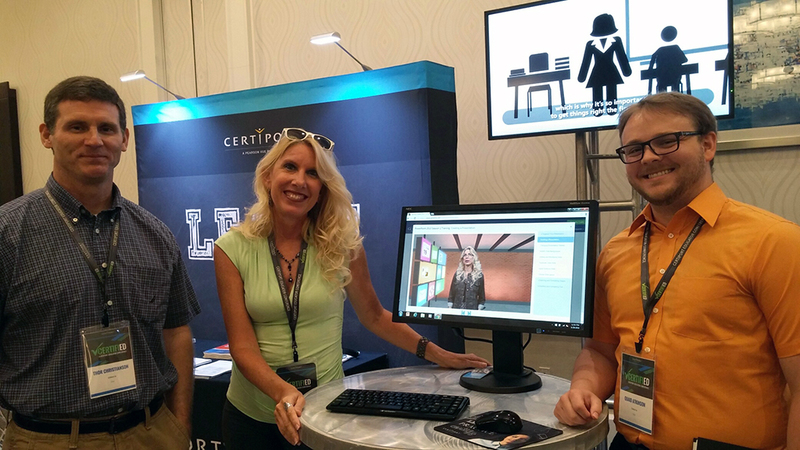 This past week, June 28th – June 30th, I had the great opportunity to attend the Certiport CERTIFIED conference in Orlando, Florida. 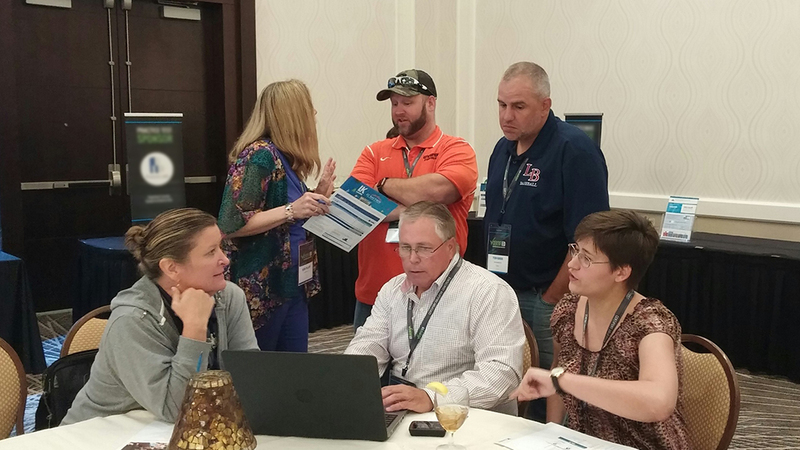 It gave me the opportunity to learn more about how we can help Career Technology Education (CTE) Teachers teaching Microsoft MOS, Adobe, IC3, MTA, Autodesk and many more in-demand courses that map to Certiport’s industry certifications. They had excellent breakout sessions where teachers shared best practice sessions on topics that included: Creating new certification opportunities in college and communities; Product deep dives for: Adobe, IC3, and Autodesk; Celebrating student success in the classroom; Preparing to implement MOS 2016 certification in the classroom; and, one of my favorites, Integrating Certification Learning Materials and Practice tests into your lesson plans. The keynote speakers were also amazing. Rich Lehrer’s story about being a full time 8th grade science teacher and becoming the Coordinator of the Enable Educators Exchange through guiding a project that built a 3D printed prosthetic hand for a recipient, in this case his son, through a project one of his 8th grade classes accomplished was wonderful. Manual Scott, an original freedom writer, whose story is told in the Hollywood movie Freedom Writers, had an incredible and unique message, one that has inspired, educated and empowered almost a million people, helping them make the most of their lives. The message is clear: teachers really have a profound effect on students, and when these students achieve industry certifications it builds tremendous confidence along with great skills that they can take forward in their college and career readiness efforts. We are so proud of our new partnership with GMetrix and Certiport, as it gives us the opportunity to better serve both teachers and students through learning, practice testing, and certifying resources. It was also great to see our good friends and partners Thor Christianson & Quaid Atkinson from GMetrix along with Denise Spence (LearnKey’s Power Point 2013 Author). A teacher conference in Florida could not be complete without a picture of LearnKey’s Representative Scott Walker sharing our courseware that is now on the GMetrix Learning Platform and distributed through Certiport. Up next, we will be attending the Certiport Global Partner Summit 2016 back in Orlando Florida! 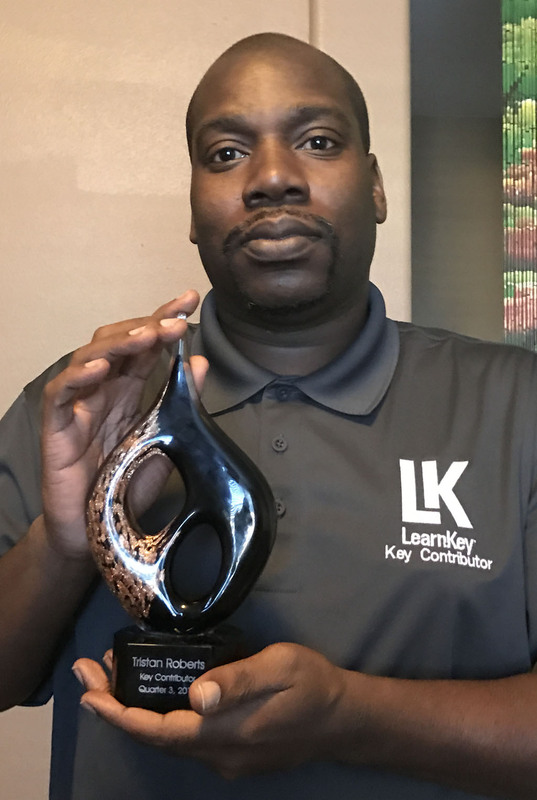 One Better Learning Systems/LearnKey program we are very proud of is our Blue Ocean IT & Career Ready program for military veterans. It is a true “education to employment echo system” built around veterans helping veterans. This means veteran students get tutored and supported by other veteran students who have graduated the program and are hired by LearnKey. 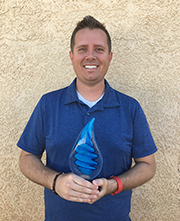 This month it gives me great pleasure to announce that Tristan Roberts has been nominated and selected by his leadership as our newest employee of the month for his efforts both as a team player and individual contributor! As our first graduate of the Blue Ocean program he joined our team last August in a new role as a LearnKey technical support/tutor. During this time we have watched him embrace our core values: Ease, Value, and Trust, with the number one priority of helping our veteran students get certified and career ready. 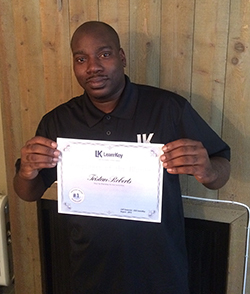 Most recently he has taken on the role of mentor for two new graduating students who are now part of his team and he has done it with passion and commitment, scheduling their work across our quality control, client services, veteran services, and technical support teams to ensure we make better courses and provide better support to our veteran students! He has also been instrumental in rolling out other support services (i.e. Tutor Tuesdays, user forums, etc.) this past year, again all driven around driving a better learning experience for our students. We are very proud to have Tristan as part of our team and truly value the contributions he makes every day. His passion for helping others is second to none! It is summer time, school is out, and the entire BLS/LearnKey family is totally focused on a successful second half of the year. One of our big productions at LearnKey this summer is a feature course on Internet and Computer Core Certification (IC3) GS5 that is an anchor learning program throughout our vocational and K-12 customers. 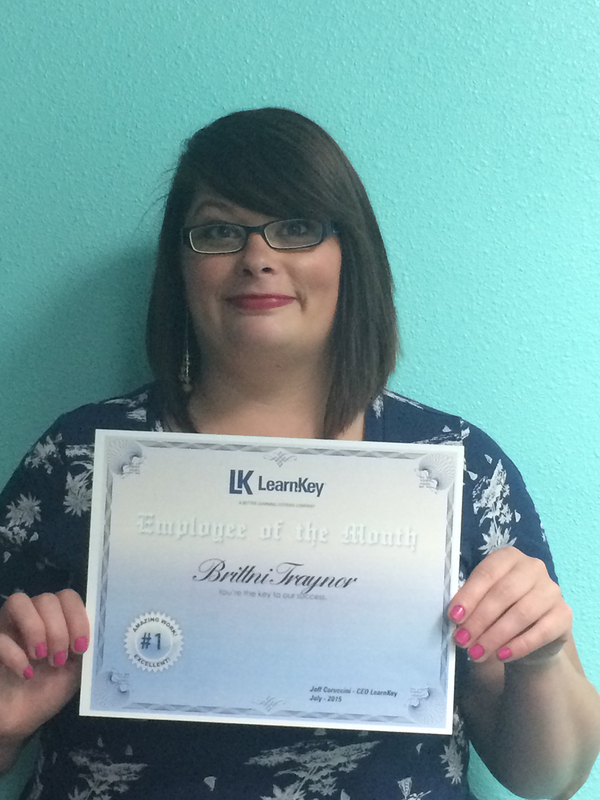 Because teamwork is the only way for us to achieve success in such a production it gives me great pleasure to recognize someone who has truly displayed TEAMWORK the entire way: Ms. Brittni Traynor from our Cedar City office! 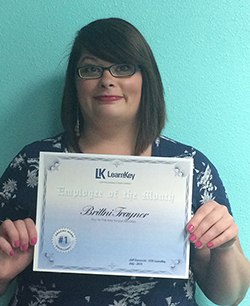 This is what her nominating peer had to say about her “can do” attitude when it comes to her contributions: “Brittni Traynor exemplifies BLS/LearnKey’s core values of Ease, Value, and Trust. 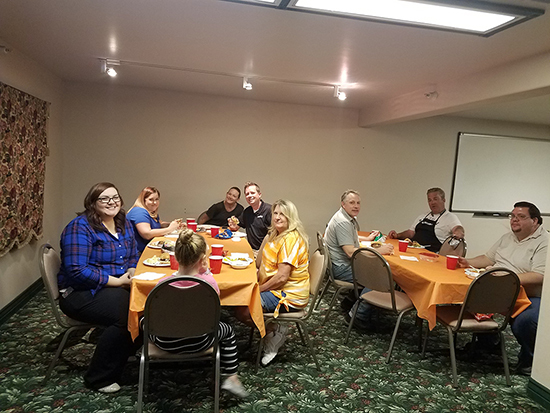 LearnKey’s production team has been feverishly working as we prepare our upcoming IC3 GS5 training and Brittni’s role as the lead writer has given her ample opportunity to demonstrate her dedication to the project and her team. Where were you born? I was born in Rexburg, Idaho. We didn’t live there very long, I claim Portland, Oregon as my home base, it is where I grew up and where my family still is. What is your favorite type of Friday night? If I am not working, I usually spend my Friday nights with my two of my close friends. We usually go to the movies, or dinner, or sometimes go see bands play. It is really nice to kick back with some good friends and just spend some time detoxing from the busy week. 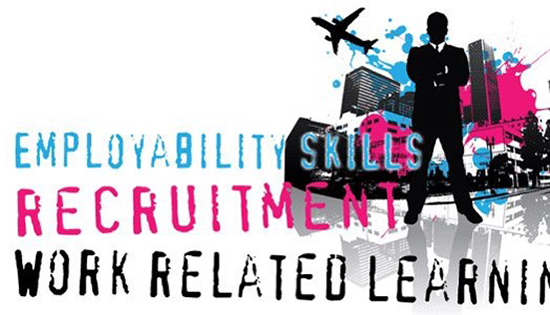 How did you find your way to BLS/LearnKey? I had a friend who had recently started as a Technical Writer; when there was an opening in the Quality Control department, I applied and got the job. What is it that you like most about your job and why? The people hands down. We have such an amazing and talented group of people here in the Cedar office. I wish I possessed half the talent of the Designers, Writers, and Quality Control teams. 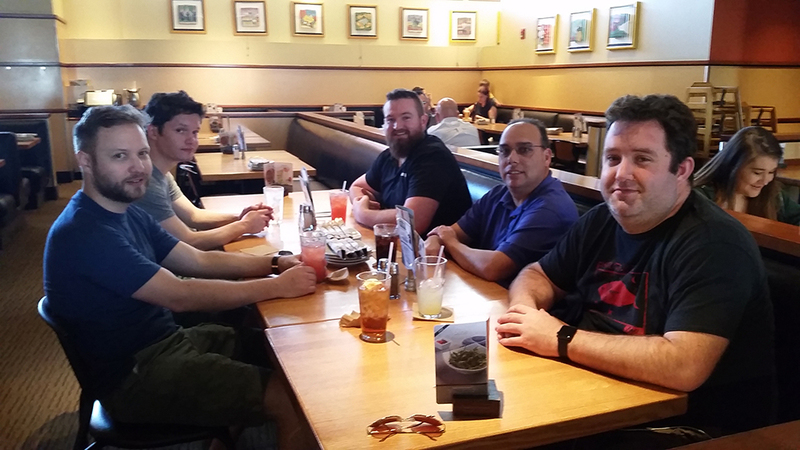 We had an office lunch the other day and we were all chatting about some random things, and at one point I thought about what a diverse and amazing group of people we have working in this company. Everyone is seriously so very talented. It’s awesome. Who at LearnKey taught you something, where after learning it you went “they are smart”? I really believe that I learn something from someone every day in this company. But, the person who I am constantly learning from is Wyett. From day one, he has pushed me to think differently and to look for the details other people may not notice. Give us a dream vacation spot you want to visit one day? I would really love to go to Nepal with my BFF Jill. She went there a few years ago to volunteer with the Butterfly Home Project. I love hearing all of her stories and would absolutely love the opportunity to go and volunteer there. What is your ideal dream job? Well, I am not totally sure what my ideal dream job would be. One of my biggest passions is helping other people find their potential and helping them to grow and become the best, most authentic version of themselves. Ideally, my dream job would allow me to incorporate that passion with whatever it is I am doing. The boss is coming for dinner and wants you to cook the meal. What will you cook? I absolutely love to cook. My dad is a chef, so I was constantly interested in it as a child. If it were only Jeff coming for dinner, I would probably make some sort of pizza, because I know it is one of his favorite things to eat when he is traveling without Lori. If it were Jeff and Lori though, I would probably make Pollo en Mole. Because it is one of my favorite things to make. We really enjoy sharing these wonderful employees we have at Better Learning Systems and hope you will continue to check back and learn about other successes team members are having as we take our BLS Journey.